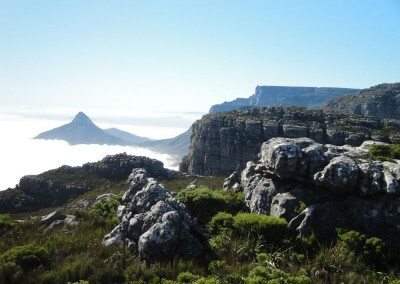 If you’re thinking of hiking Table Mountain, consider using a guide. 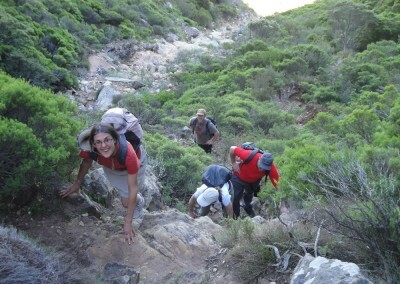 Only one route up Table Mountain – Platteklip Gorge – can be used easily and safely without a guide although a guide is still worth the investment for hikers unsure of their abilities. 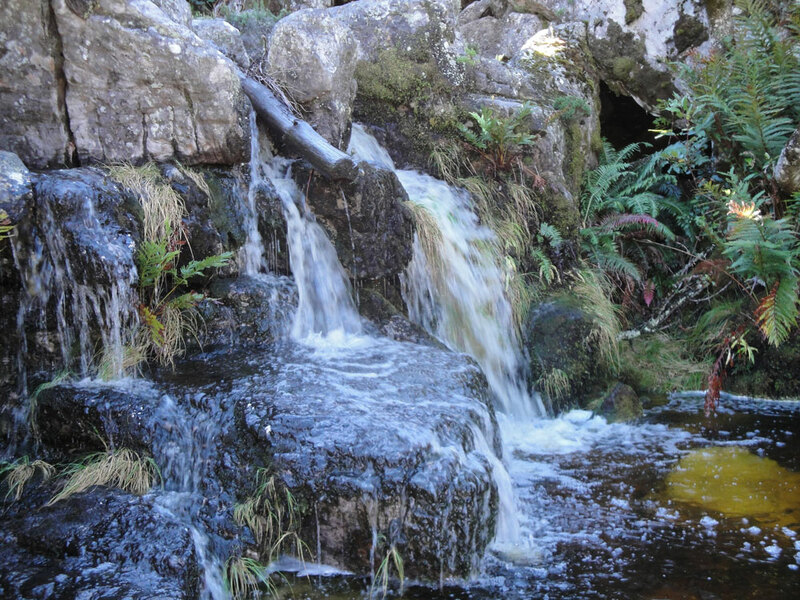 Conveniently, the Platteklip Gorge trail is also the path that takes you onto the mountain’s famous flat top and upper cable car station. Hikers willing to forgo the cable car have the rest of the mountain largely to themselves. Away from the flat top, Table Mountain is a wild jumble of hills and valleys covered in a maze of hiking trails; it makes for epic hiking but a guide is now highly recommended. 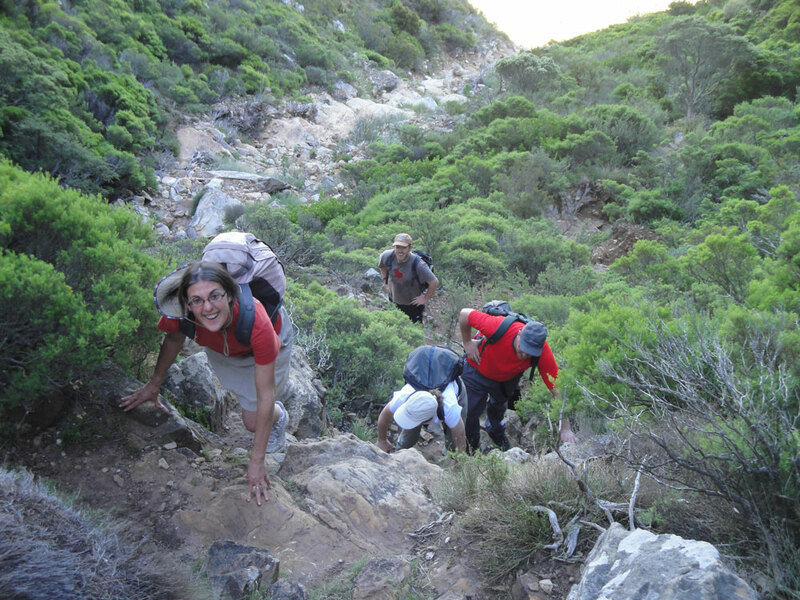 A Table Mountain Guide does, of course, come at a cost. 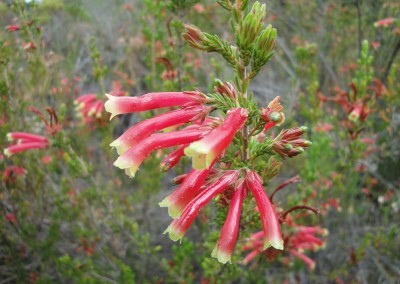 It’s a professional full-time job for a handful of guides in Cape Town and I – The Fynbos Guy – am one of them. Why should you use one? I hope to answer your questions below. 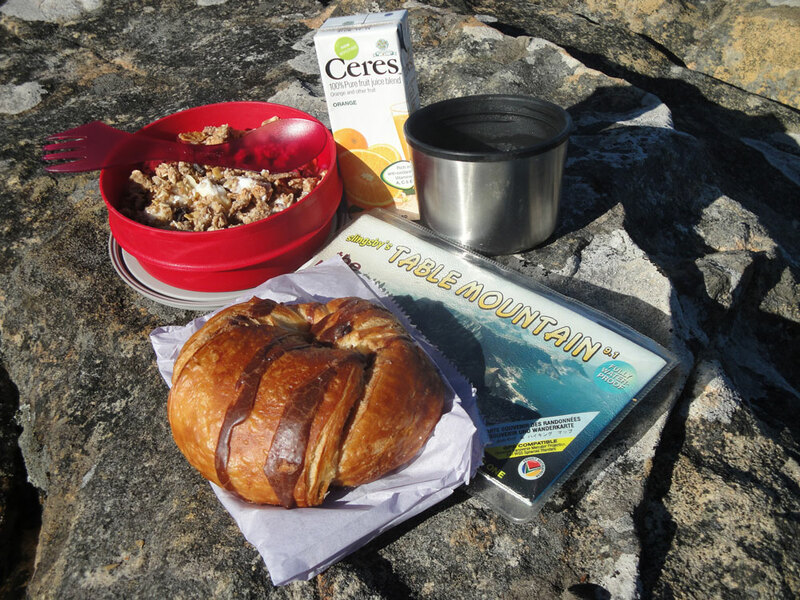 Why should I use a Table Mountain Guide? A guide makes the difference between a hike into the unknown and one when you need only walk and enjoy it all. A guide plots a route that matches your abilities and expectations and leads the way. You’ll learn about the natural environment and local history, and will have the reassurance of someone with first-aid skills and the right training if things go wrong. 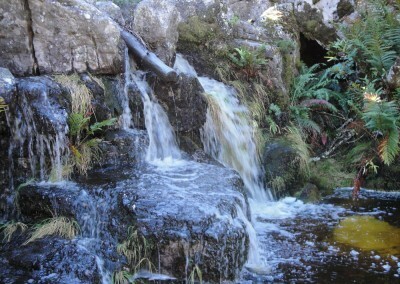 And if the weather isn’t great, a guide will have a Plan B – a more sheltered trail or perhaps a reschedule. What qualifications should a Table Mountain Guide have? 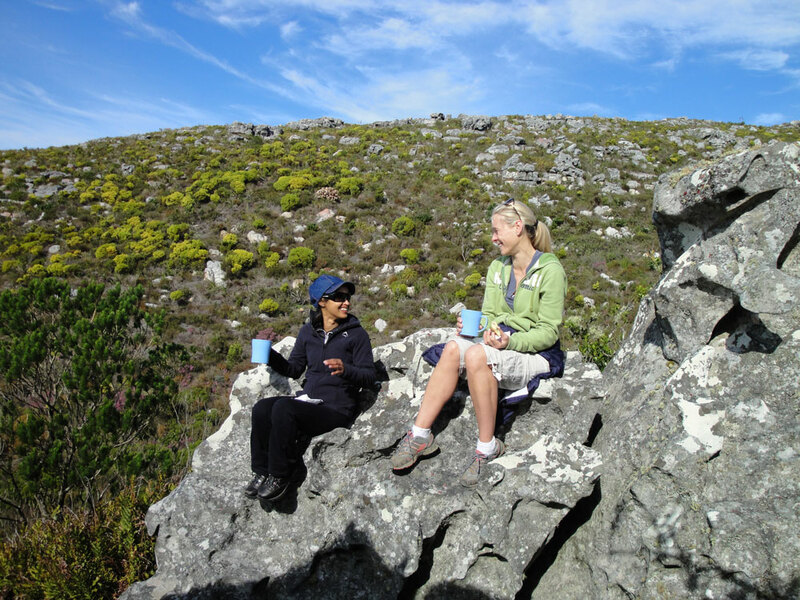 A Table Mountain Guide must be appropriately qualified and registered with the National Department of Tourism. A guide should be able to produce an identification card with their photograph, registration number and type of guiding they are permitted to do. 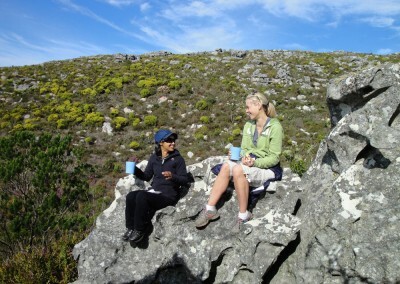 Not all card and badge-wearing guides are qualified to hike Table Mountain. A Table Mountain Guide also has to have a current first-aid certificate and – if they are driving you around – a Professional Driving Permit. 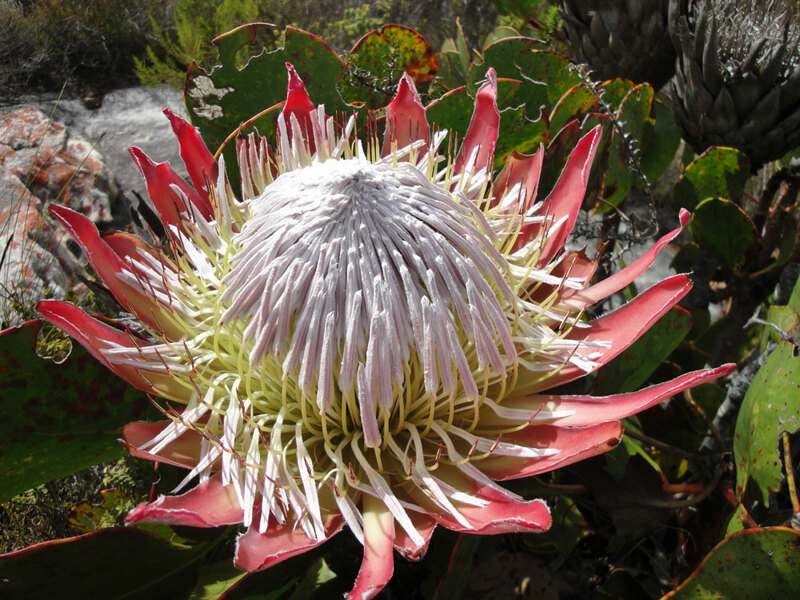 What’s included in the price of a Table Mountain Guide? 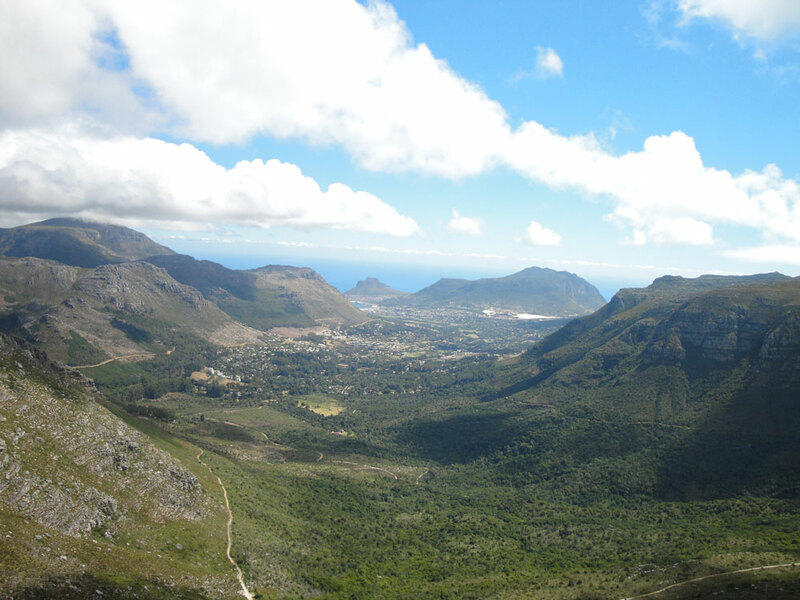 It varies from guide to guide but in my case it includes free transport for between one and three hikers to and from Table Mountain/Lion’s Head/Silvermine (assuming your accommodation is in Cape Town). You’ll also enjoy a choice of teas and fresh coffee accompanied by a chocolate croissant for a mid-morning snack. 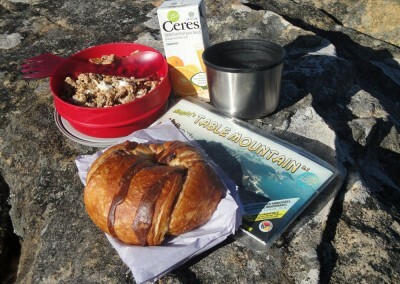 On full day hikes you’ll enjoy a picnic lunch – bread rolls, cheese, ham/salami, boiled eggs, raw vegetable and chips. I carry plenty of spare water, energy sweets/trail mix and can supply spare rain gear/warm clothing if you need. On a hot summer’s day you’ll get a cold drink afterwards too! What’s not included in the price of a Table Mountain Guide? Again, it depends on the guide but in my case it’s only your entrance fees (e.g. 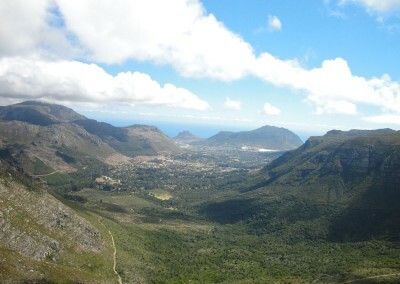 Cape Point, Boulders Beach etc) and cable car tickets that are not included in the price. 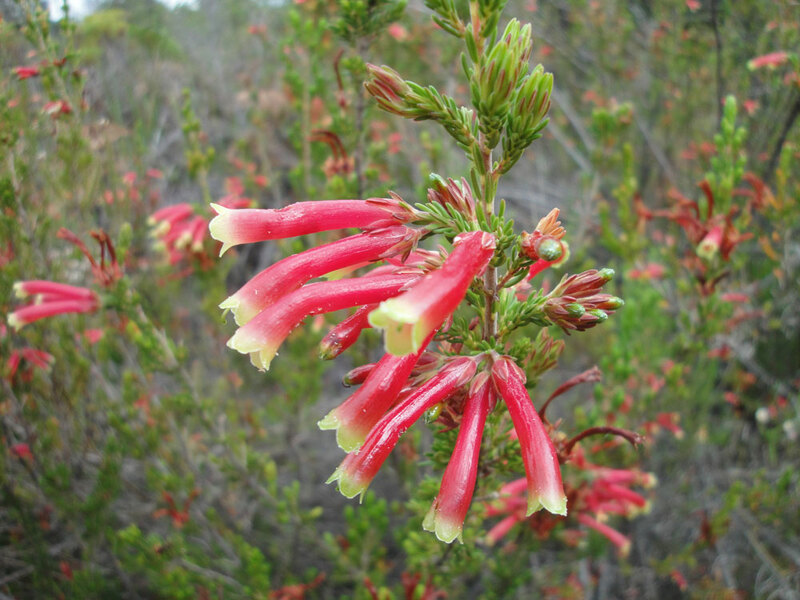 Note too that a Cape Point hike or an out-of-town hike will incur a fuel levy if I transport you.